The incident was reported at 10 p.m. Sunday in the Boise County side of the reservoir. 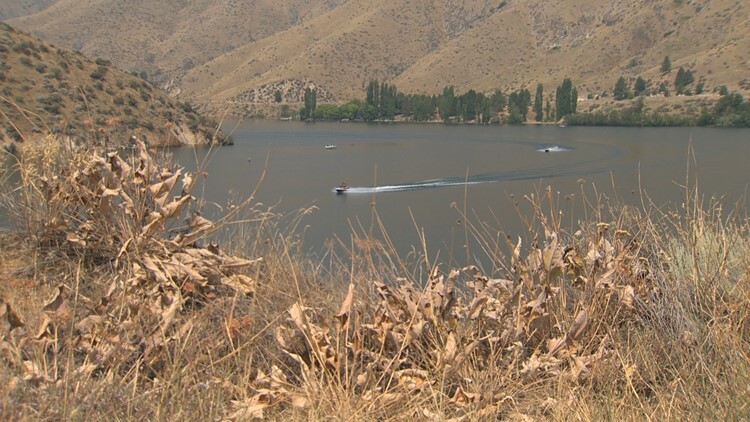 BOISE COUNTY, Idaho -- A young Boise man is missing after officials say he tumbled from a boat into deep water in Lucky Peak Reservoir Sunday night. The man, who is described as being in his early 20's, fell from the boat at about 9 p.m. Deputies from both Boise County and Ada County responded to the reservoir, and scoured the water for the missing man until about midnight. The search was suspended for the night, then picked back up Monday morning. Searchers have not yet found any sign of the man. According to the Ada County Sheriff's Office, deputies are currently searching with sonar equipment, but water movement and depth are complicating efforts. A dispatcher for Boise County said Monday morning he had "no information" on the search, including whether the missing person had drowned or been rescued. The reservoir is between 130 and 150 feet deep in that area of the reservoir. The missing man's name has not yet been released. Check back for updates.